73 of 77 people found the following review helpful. Bang for your buck. Period. I love this lens. It doesn't leave my camera. Period. The only time it does is when I need to shoot a group of people and I'm in a cramped setting. But when I'm shooting a wedding, an engagement session, an athlete, a family or a child this lens absolutely cannot be beat. (Especially for the price). At the moment I'm trying to decide if I want to "upgrade" to the sigma 85mm 1.4 or the Nikon 85mm 1.4 but for the time being I absolute could not be happier. Get this lens!!! 86 of 91 people found the following review helpful. This lens took a 4 foot drop from the back of my SUV and bounced hard on concrete three times. I picked it up, horrified by what I might find. Not only did the lens still work perfectly but there wasn't a scratch on it. The lens hood has a single small scuff mark but that was all. A lens that can take this type of a beating without so much as a scratch deserves a review. 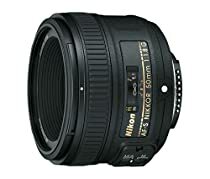 - This lens and the 50mm 1.8g are arguably the best value lenses that Nikon makes. The $100 instant rebates Nikon has been having on this lens recently make it a steal! - 99% of the $1500 85mm 1.4G for 1/3 of the price. - Override manual focus with a touch. - Perfect portrait lens for DX or FX. - Made from durable, bounce off the concrete proof plastic instead of metal. Not sure if this is really a con. I sold my $1000+ Nikon 85mm 1.4D and have never looked back. That lens focused slower, less accurate, and wasn't quite as sharp at 1.8. The only thing better about the 85 1.4D was that it was a hunk of solid metal and this lens is durable plastic. My pictures with the 1.8G are just as beautiful as the 1.4D. I don't regret selling the more expensive lens for one second after my experience with amazing lens. Lens well suited for Portraits and low light conditions. Simply the best portrait lenses I've used on a full frame Nikon. I wanted a sharp lens that can be shot wide open for good subject isolation with a narrow depth of field and this lens fits that role. As for the focal length, I think it's perfect for head shots; the one in my review was taken with me seated at the same table just a few feet from the subject. I had an SB700 flash sitting on the table off to the side of the subject and fired it remotely with a Yongnuo YN622N wireless flash trigger. With my 50mm lens I'd have had to crop it quite a bit and lose out on some resolution. My 24-120 F/4 zoom lens would have worked OK but it's not as nearly as good in low light. This lens will get the nod anytime I want to capture human subjects. Are they any negatives? The only negative I can identify is that I'd prefer this lens was nano-coated. I think the color rendition and contrast is better with the nano-coated lenses. I'm sure that nano-coating would increase the price some but this lens is so relatively affordable that I could live with that. Some may say the lack of VR is a negative but I don't agree. I'm glad this lens doesn't have VR as the VR system would add weight and with a wide 1.8 aperture I don't see that it would be particularly useful in this application. 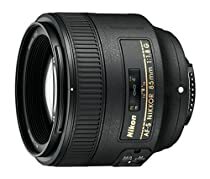 All the positive reviews are correct, this lens is an amazing value and is a wonderful addition to your FX Nikon. It's light and simple design should give you many years of faithful service capturing beautiful images.